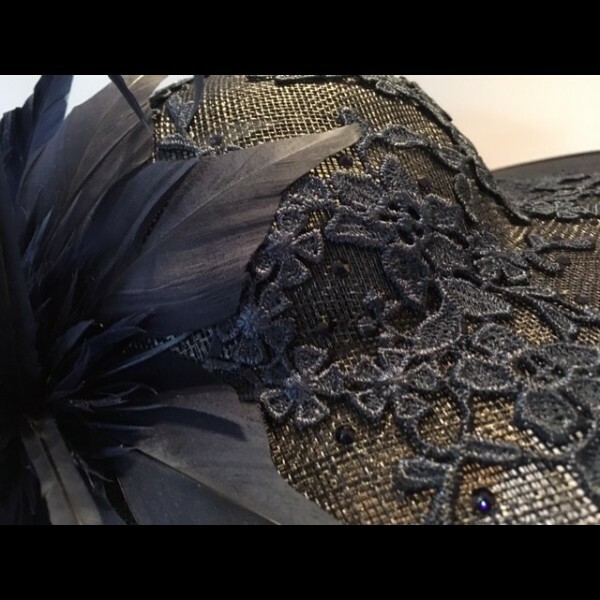 The popular 'Gatsby' Headpiece in Dark Navy sinamay. 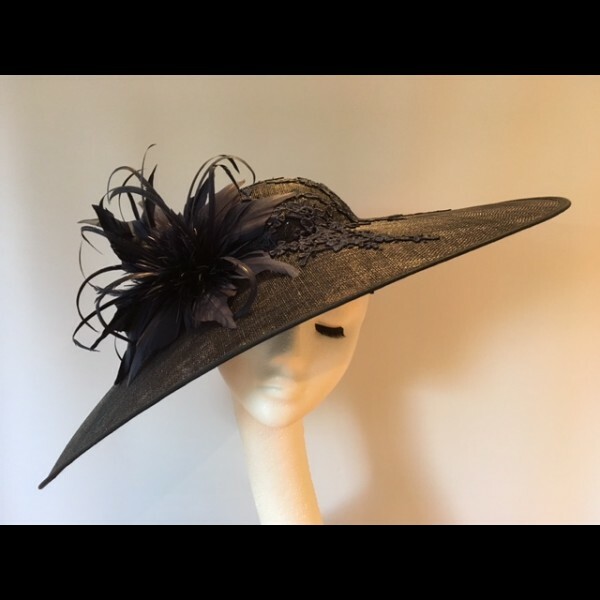 Fabulous dramatic shape with lace, swarovski and feather flowers. 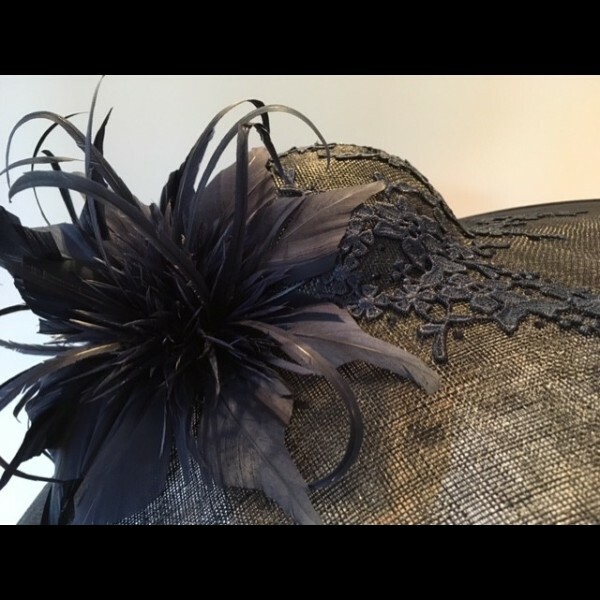 Navy lace on the upper side, dotted with toning Swarovski crystal and two matching feather flowers. 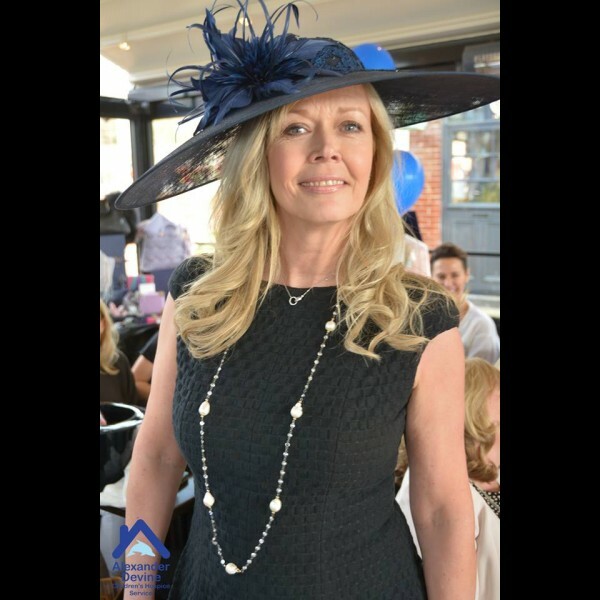 The price quoted is for the HIRE of this hat. 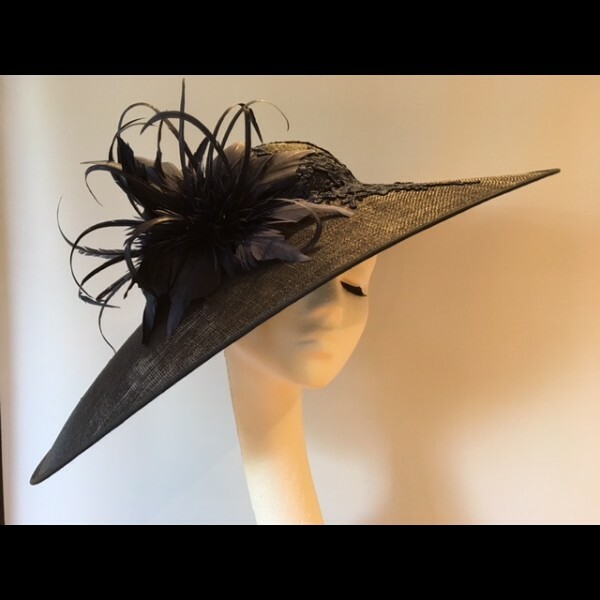 Similar style hats are available to hire in Black, Sandstone, Dark Rose Quartz, Kingfisher Blue, Mint, Red and Ivory.